According to the Sustainability Portal it’s predicted that by 2030 apparel consumption will reach 102 million tons per year. This equates to an additional 500 billion t-shirts sold annually, on top of the fashion crisis that already exists! As consumers, we are responsible for driving this change but it also means we have the power to stop it. I admit, ethical and sustainable shopping isn’t easy in the current fast fashion environment, but it certainly isn’t impossible and we can all play a huge role by making small changes in the way we manage our wardrobes. Here are just a few easy changes that I have embraced when commencing my journey to shopping more ethically and sustainably. This may seem obvious but once inside a shop, it can be hard to detect whether workers are well-paid or have safe working conditions. So, before leaving the house, spend five minutes researching the shops you want to visit. If the brand has an ethical and sustainable policy you can almost guarantee they will advertise it on their website. Look for policies about staff safety, pay, auditing and waste management. Standards and certifications are other important transparency indicators to look out for. 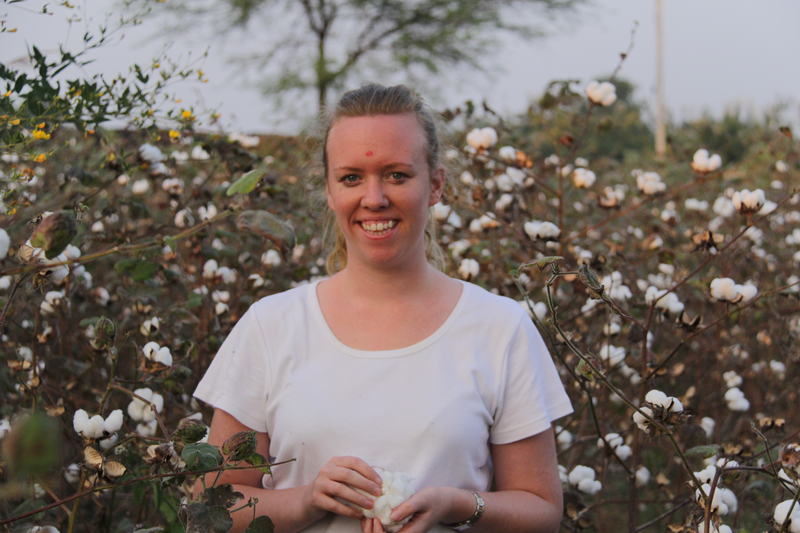 The Global Organic Textile Standard (GOTS) and Certified B Corporation are two globally recognised certifications that indicate ethical and sustainable practices in an organisation. Avoid those that don’t promote organic fibers or use language including a commitment to paying only the minimum wage or meeting the minimum legal requirements. In many offshore locations this benchmark is often very low. Make sure you understand what minimum wage and minimum legal requirements actually mean in the country of origin. Once you have gathered this information, decide whether the direction of the brand’s policy aligns with your personal values. If not, hold onto your money. If you can’t find information online, contact the brand directly. The Fashion Revolution website has great tools to help you send quick, inquisitive emails. If you don’t hear back, it’s a good indicator that the brand has not yet developed ethical standards and is probably not a brand worth investing in. Simply not purchasing new is a great way to reduce your impact. Clothing swaps are arguably one of the cheapest and most fun ways to sustainably update your wardrobe. A clothing swap is a meeting of people to swap clothes and accessories and gives clothes an opportunity for a second, third and fourth life. So gather your pals, collate the things you’re tired of wearing, arrange wine and cheese, and start trading! If you don’t have time to organise a clothing swap, opportunity shops are another great option. These are like clothing swaps, but the administration has been taken care of! The shops already exist and the clothing is already hanging there ready for its new home. If you’re Wellington based you can check our one of our previous posts on our favourite places for second hand goods. Op shops are a wonderful mix of retro and current clothing, and op shop etiquette asks that donated clothing is clean, tidy and able to be sold. On average clothes are worn a brief seven times before being thrown in the trash. These two shopping alternatives help to combat this problem, keeping textiles out of landfills and encouraging us to wear clothing for the duration it is designed for. Special occasions can be one of the hardest times to maintain your well intentioned shopping habits. Over the last few years I’ve embraced re-inventing my favourite outfits. A well made and versatile dress is absolutely essential. My go to gown is one made by my friend Jes Chang from Children of Promise which I have worn to no less than 20 events over the past 18 months including weddings, award dinners, business meetings and even the odd party. My younger self would definitely have insisted on having a new dress for each occasion but I now really enjoy re-styling this tried and tested outfit. Even though it cost me a little extra upfront it has honestly been an investment in itself. On occasions where I want something a little different I now frequently ask around my friend circle if they have something suitable I could borrow. Sharing wardrobes amongst friends is a great option for increasing usage. Always ensure you return the items dry cleaned if necessary and double check that the item isn’t going to cost your friendship in the unlikely scenario that it is damaged beyond repair. If you friends don’t have quite what you’re after or you don’t feel comfortable asking there are some great sites available to rent from. These are particularly great for Wedding season or when you simply want something a little different. One of my absolute favourites is Designer Wardrobe which I’m extra excited to be using as a bridesmaid for an upcoming wedding next year. The last thing to consider is how long an item will last after it has been purchased. Wear and tear happens to all of our belongings. However in textiles, fast fashion is fast making sewing skills redundant. As soon as a garment shows signs of ageing it is often tossed in the bin, because it’s easier to buy a replacement than figure out how to fix it. As well as price, composition, location and brand something I always consider is how many seasons I think the garment will last and how easy would it be to repair. If I think it won’t last beyond one season I usually don't consider it as an option. Some of my favourite items in my wardrobe have now been with me for 10 years and counting. Holes in sleeves and fallen hems are inevitable. Learning basic sewing gives you the power to revitalise a garment without costing an arm or a leg, or the full repurchase price. For those completely new to sewing; running stitch, slip stitch, sewing buttons and secure double knotting are easy, yet essential hand sewing techniques that will extend the life of your wardrobe. Youtube a quick how-to video! There is no right and wrong when it comes to starting an ethical and sustainable lifestyle. These tips aren’t dramatic changes, but they are actions that we can all adopt to start our journey. We would love to hear of any other top tips that you may have. Founder & CEO of Little Yellow Bird - producing fair-trade, ethically made, organic clothes & uniforms for conscious consumers.